having hundreds of different tribes who speak about 850 different languages. Here are 3 places in which you can experience some of the best that PNG has to offer. Picture this. You’re flying over Mount Hagen by plane- looking down at the festivities occurring at the Hagen Show, a ceremonial festival in August celebrating tribes from all over Papua New Guinea (PNG). You can see all the tribespeople- or at least their brightly colored ceremonial garb showcasing vibrant shades of red, green, and yellow- who are all dancing simultaneously. It would probably look like a moving art show. On foot, as you approach the festival grounds, you would most likely feel the vibrations of the kundu drums before hearing them. You meander through the front gate and immediately hear war-like cries and whooping; you turn to see tribesmen dressed as skeletons make an aisle to walk around you, thrusting spears and axes in your direction. You’re not alarmed, you know this is just that tribe’s way of involving you in their performance. It is all about showmanship during this festival, with the performers reveling in being celebrities for a day. The skeleton men even pose menacingly while you take a picture! They continue to whoop and holler past you. One tribe you see at the Hagen show is called the Foi. The Foi tribesman hail from Lake Kutubu in the Southern Highlands of PNG. They were completely unknown to man until the 1930s when Western travelers happened upon them accidentally; because of this fact, they are considered to be PNG’s least-developed tribe. The Foi men are notorious throughout PNG for their ability to extract the highly valuable oil from the kara’o tree; the oil is then mixed with charcoal or dyes made from plants to create the paint used in the Foi’s Hagen Show performances; you learn what each color means by one of the women of the Foi tribe. As she smears red on a tribesman, she says that “Black paint is for warriors, red is for mature men, and yellow is for initiates”. She tells you more about the Foi costumes and culture as you sit there asking questions- most performers or tribespeople will not initiate conversation, but will gladly tell you anything about their culture if asked. You walk away with great stories to tell. 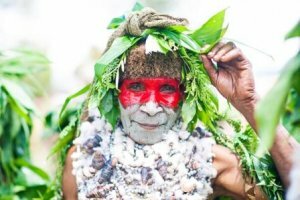 A tribesman you initiate conversation with tells you that the Hagen Show was originally established to instill peace between warring tribes, but today the festival’s purpose is so everyone can experience PNG’s tribal culture firsthand. As Western culture continually threatens traditional PNG culture, the Hagen Show is a way to combat cultural extinction in what is often considered to be the most culturally intact place in the world. The ground vibrates underneath your feet as you walk past one performing tribe after another, the smell of burning tobacco mingling with the scent of freshly overturned dirt and charred wood. You marvel at the fact that one does not need to understand the language to see that performances at the Hagen Show are an homage- a celebration of culture, each tribe’s individual history, as well as each other. Wandering away from the performance area, you visit the small artisan section where you walk through stalls of beautifully handcrafted arts and crafts from tribal artisans. You buy a few souvenirs to take home knowing that each object bought supports each tribe in various ways. By the end of the day, you are worn out and ready to end your cultural experience for now. As you walk back toward the gate, you see that they have been opened to the locals; you had noticed them earlier on your way in, with their faces pressed up against the fence in excitement. They now stampede past you, laughing, to join in what’s left of the fun. It’s hard to fathom that this beautiful rainforest is in the middle of PNG’s bustling capital city, but it’s true! The rainforest is only a short ways away from the humming metropolis that is Port Moresby, one of the only capital cities in the world that has a rainforest track running through its city limits. Forget about Central Park- imagine walking outside, maybe taking an after-lunch walk, but through a rainforest. 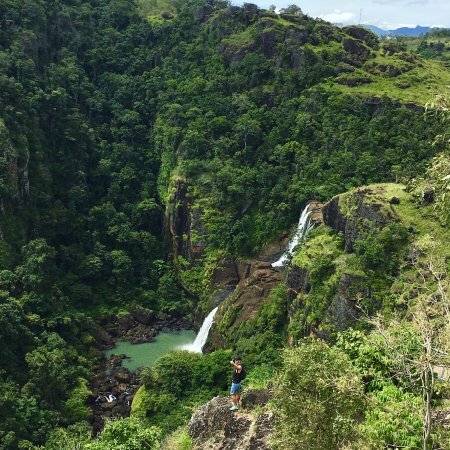 Just minutes outside of the concrete jungle of Port Moresby lies an expansive rainforest with rolling verdant green hills blanketed in rich foliage and towering waterfalls. 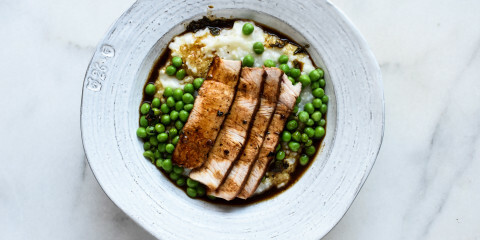 A short car ride back to the metropolis and you’ll be eating at a local hotspot by next mealtime. It is one of two cities in the world that can boast that (the other city being Panama City, Panama)! You decide to do just that and visit the acclaimed Port Moresby Nature Park. You’ve heard it is a great place to experience PNG’s wildlife and natural vegetation all in one place! Lucky for you as you’re only planning to spend a day or two in PNG’s capital city. Upon admittance to the park, you take a hike through the lush forests, taking in the 11,000 native Orchid species on display. While marveling at the delicate yet wild beauty of the rainforest- which hosts thousands of tropical plant species- you stumble upon a particularly magical spot on a cliff overlooking a wide expanse of land- a perfect place to picnic. After lunch, you wander over to the zoological park where you see over 150 native animal species. With creatures ranging from terrifying to adorable, there’s an animal for everyone- you smile as you know your sister would have loved to see the wallabies! You snap a photo for her and continue walking past each animal thriving in its natural habitat. You are happy you decided to explore Port Moresby Nature Park today. You didn’t know what a Cassowary was until you decided to visit! You promised yourself upon researching this trip to PNG that one day you would go scuba diving. You pause, a brief moment of panic jolting through your system- you’ve always felt claustrophobic when snorkeling- you don’t know how you’re going to handle scuba diving. However, you have done enough research to know that PNG is famous for this activity. It is enough reason for you to look further into it. 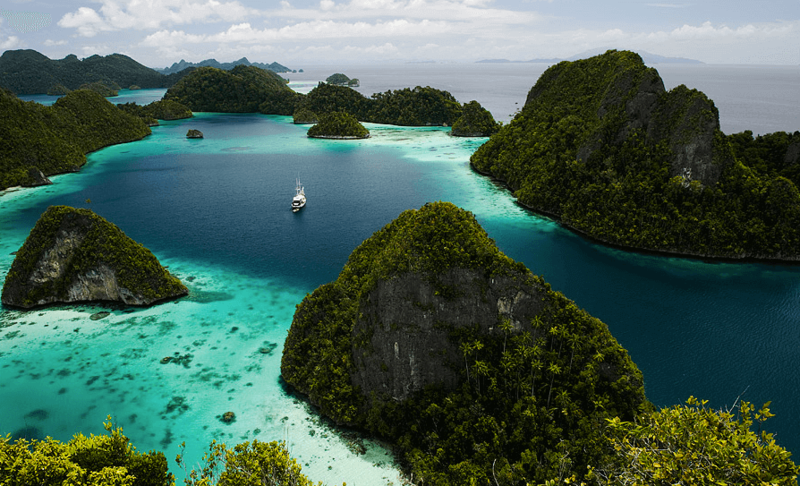 After doing more research, trying to psych yourself up, you learn that some of the most diverse and beautiful marine life can be found here; in fact, according to the PNG country website, “oceans surrounding Papua New Guinea have up to twice as many marine species as the waters of the Red Sea and up to five times as many as the Caribbean”! Sold. You book a diving tour for later that day. Two hours later, taking a deep breath, you take the plunge (quite literally) into the crystal blue waters off the coast of Port Moresby. This particular tour was around a sunken barrier reef called Suzie’s Bommie, a rich and vibrant ecosystem which a variety of different marine life call home. You were going to take a diving tour of one of the WWII wreckages, but there are only so many hours in a day. Next time. You have a little waterproof camera, nothing fancy, but it’ll get the job done. 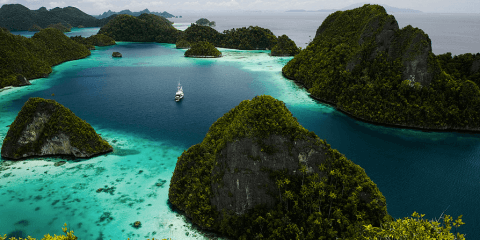 Many call PNG’s waters a “photographer’s paradise”; in fact, several award-winning photos have been taken in the waters of PNG. Maybe you’ll be able to take one! You chuckle to yourself as you tread water just above the base of the reef with your dive captain and a few other tourists. You look down to see the bustling coral reef teeming with life. You suddenly forget any inhibitions you had and are excited to get started! After a few precautionary and safety instructions, you are ready to say goodbye to the surface and enter the crystalline waters below. You swim down to the reef, enveloped by schools of sparkling fish, all the while marveling that there can be so many vibrant colors in one place! Your dive instructor takes you to about 45 feet, here is supposedly the best place to catch all the action of the reef- you believe he described it as “a main intersection that everyone has to cross”. Feeling like someone who is “people watching”, you just watch all the different kinds of fish darting to and fro for a while. You don’t know how long you watched fish rush hour, but your instructor signals that it’s time to go. 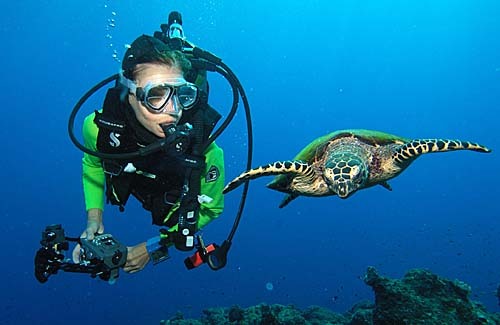 You and your tour mates follow your instructor’s suit and start heading for the surface. On the way up, a sea turtle comes up beside you and swims lazily next to you for a moment before heading off into the deep blue. You have never been so happy to face your fears! 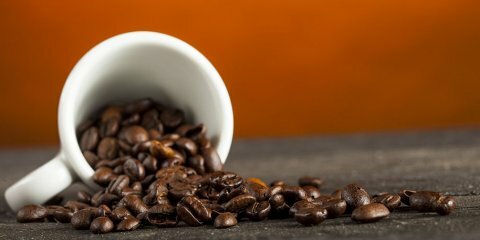 Coffee was introduced to PNG when it was brought over from Jamaica’s Blue Mountain in the 1920s. It is grown in 2 regions: the Western Highlands and the Eastern Highlands. Ulya coffee is the main type to come out of the Western Highlands while Namugo coffee hails from the Eastern Highlands. Both regions account for most of the country’s coffee export and is responsible for 1% of the world’s coffee production. Coffee from this region is described as a lighter acidic coffee with subtle hints of fruit, often compared to an apple. The crop is mostly grown by locals who tend their “coffee gardens”, as they are endearingly referred to, which is exactly what it sounds like: little patches of land, with as few as 2 or as many as a couple hundred coffee trees, tended by local subsistence farmers.